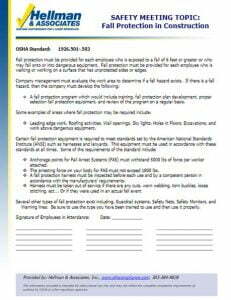 Hellman & Associates has prepared ready-to-deliver outlines to assist you with your safety topics training. 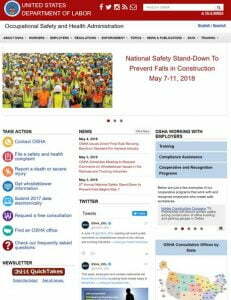 These outlines cover basic, awareness-level information that addresses the intent of the regulations covering common workplace safety hazards. 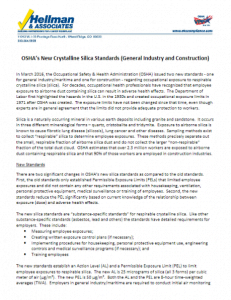 Please click here to see the latest OSHA Update.